Springbone is a healthy fast casual restaurant that started in Greenwich Village in 2016. We serve healthy meals for breakfast, lunch and dinner that are filling, delicious, fast and priced in the $10-15 range. 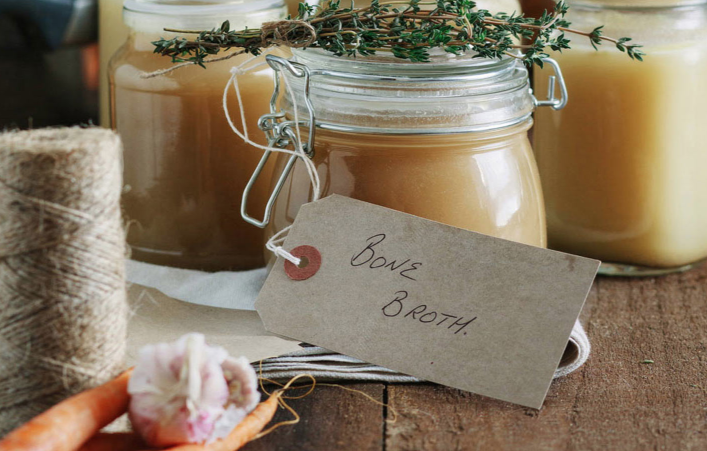 We are also famous for our bone broth which is a uniquely healthy and delicious option. Our new Financial District location is our second location and is unique in that it is entirely takeout. What makes Springbone so unique? We understand that flavor and health go hand in hand. They both depend on high quality ingredients. We are extremely specific about what ingredients we use and which we avoid. When it comes to meat, we only use 100% grass-fed and free-range meats. For cooking oils, we use extra virgin olive oil. We are 100% gluten free and minimize our grains altogether. Our produce is primarily organic. We don't sneak sugars into our cooking or our sauces. Nothing we use is processed. This is unique, especially in the fast casual restaurant space. Because we are using high quality ingredients we try not to get in the way of the food and let the ingredients shine through. It's easy to taste the difference. As they say the proof is in the pudding. What inspired you to open up in the Financial District? Me and my co-founder used to work in 80-hour corporate jobs prior to opening Springbone. We know how difficult it is to find a meal that is healthy, delicious, affordable, and fast, near your office. We started Springbone to solve that problem, so it's only natural for us to open in the heart of the Financial District, where that problem is most acute. What can locals expect when they visit Springbone? This location is somewhat unique in that it is entirely takeout, while our first Greenwich Village location is more of a neighborhood hangout. We did that so we could use all of our space to cook and serve fast. We value our speed and quality of service but even more so guests should expect a great value in whatever they get. We use the highest quality ingredients and always bring our meals in at a price comparable with other conventional fast casual restaurants. What are your favorite things on the menu? For lunch and dinner, our new Ropa Vieja dish is amazing and our Mexican Bowl with chicken which has been on the menu since Day 1 is a must have. For bone broth the Liquid Gold is incredible and the Kimchi Broth, if you like a little spice, is my favorite. I eat Springbone 2-3x/day every day and I've got to say it's all great. Hopefully before the end of January!